Note: This review was first submitted to the TESOL Higher Education Interest Section in December 2017. Lockwood, R.B., Sokolik, M. & Zwier, L.J. (Eds.) (2017) University Success Series. Hoboken, N.J.: Pearson Education, Inc.
Pearson’s University Success series for EAP students brings together, and skillfully breaks down, the complex skills needed by English language learners at the university level. Anyone who has taught university-level English language learners knows that no matter how well they may have performed in their English language courses, they are usually not prepared for the shock of the real university classroom, which includes massive amounts of reading, competing in a classroom of native speakers, listening to hour-long lectures, and writing papers without their helpful English teachers nearby. How to help EAP students bridge this gap has been a subject of research and experimentation by English language teaching professionals for the last several decades, myself included. Delineating, and then breaking down those necessary skills that native English-speaking students take for granted has been a struggle for those of us working with this student population. So here’s some good news. University Success, a new three-level series from Pearson, gets to the heart of the matter when it comes to helping students cross this bridge between their English language courses and life in a real university classroom. Each of the levels – Intermediate to High-Intermediate, Advanced, Transitional – is divided into Reading, Writing and Oral Communication skills, so three separate standalone textbooks at each of the three levels. Each of the textbooks is also consistently divided into five content areas – Biology, Humanities, Engineering, Sociology, and Economics – as well as three sub-skill areas – Fundamental Skills, Critical Thinking Skills, and Authentic Extended Content. This consistency across textbooks and levels would make this an excellent series for an integrated Academic English Program, and the up-to-date topics, readings, and lectures by Stanford University professors give the series the authenticity they need. Although there are myriad EAP textbooks, many of which I have used in my thirty-two-year teaching career at the University of Washington, this series brings together the best ideas from those texts into one book. For example, in the Transitional level’s Oral Communication text, you can find activities covering everything from how to elaborate on a point you are trying to make to creating and communicating a visual, such as a graph or diagram. The critical thinking section of this particular text in the series includes a section on “interpreting and utilizing hedging devices,” something you might not think to teach but extremely useful. Finally, in the Authentic Content section of this textbook, students listen to authentic lectures by one of five experts while they practice using all the note-taking and listening skills they have learned in previous units. Even for experienced teachers, this helps break down the complex mix of skills need for understanding what’s going on in the classroom and taking a more active role as a student. Another feature unique to this series is the level of attention given to the metacognition of language learning, which again is a nice feature for both teachers and students. Each mini-skill in every unit is explained clearly and succinctly, so students, and equally importantly, teachers can understand why they need to master it. Although further research into the extent of the value of metacognition in language learning is needed, it has been shown to be a valuable enough tool to warrant adding it to our teaching strategies. “It is very worthwhile for teachers to understand the importance of metacognition in language learning because it helps learners to become autonomous and self-regulated language learners…teachers should focus on both teaching language content and teaching the ways and processes of learning” (Raoofi, Chan, Mukundan & Rashid, 2014, p.45). University Success textbooks operate on this assumption. One other factor that I always look for in a textbook is the layout and design. I want something that is not too ESL-ish looking when I’m working with students who are serious college-level English language learners. The pages of the Transitional level of University Success are dense, the print is small, and the units are one to two pages in length. There are plenty of visuals to break up the pages – tables, photos, graphs, cultural notes in boxes – all making this, at least for me, a respectable-looking book to bring to the table for my graduate and undergraduate students. In terms of support materials, the University Success series is accompanied by the online MyEnglishLab, where students go for the listening component of various activities throughout the textbooks, including the lectures and a self-assessment component at the beginning of each chapter. As usual with textbooks, there is more than enough, maybe too much material. I would be hard put to get through all the activities in one textbook in the ten-week quarters we have in our English language programs at the UW. Still, as an experienced teacher I would pick and choose from this text, and could put together a solid ten-week course using just this resource. 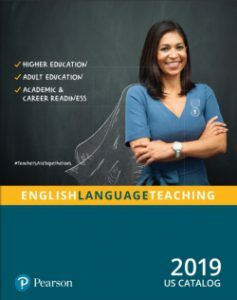 I also think it is an excellent series for a new teacher who is trying to wrap their heads around the how to help their university-level students bridge that gap between their English classes and their university courses. As one of the three series editors, Lawrence Zwier, an associate director of the English Language Center at Michigan State University puts it, this series provides an “academic onramp” for students, and I think it is definitely worth a look for your EAP courses. Raoofi, S., Chan, S., Mukundan, J. & Rashid, S.M. (2014). Metacognition and Second/Foreign Langauge Learning. English Language Teaching, Vol. 7, (1), p.45. Mary Kay Seales has been an English language instructor at the University of Washington for over 30 years, specializing in instruction for EAP students. 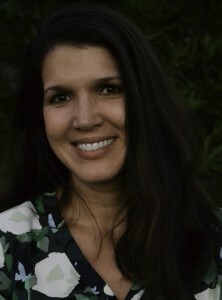 She also has extensive experience in teacher training in the U.S. and abroad.